As a major player in the Independent, Assisted Living and Memory Care category in Southwestern Illinois, Legacy Place needed a positioning to reflect the brands elegance, beauty and benefits. 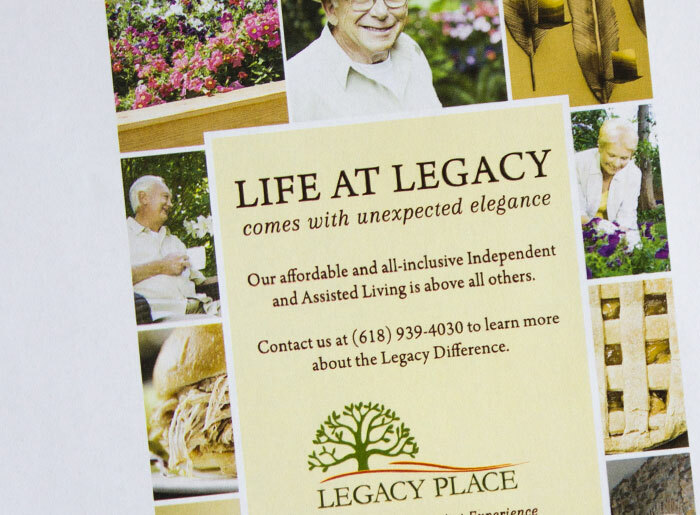 From website to print ads to collateral, Legacy Place evolved into a campaign that is truly representative of the brand – elegant, classy, approachable, inviting. We developed a campaign that complemented the strengths of their brand in a way their competition could not match.